The earth is alive, we know it intuitively - but can it be scientifically proved? And even more important, can it be experienced? We have had the honour and pleasure of talking to eco-scientist Stephan Harding about the present status of Gaia science and about how we can connect to the living presence of the Earth. Stephan overseas the MSc at Schumacher College - and is a long time collaborator with James Lovelock who founded Gaia theory in the 1960’s. He is also a holder of the Arne Næss chair at the University of Oslo - and the author of Animate Earth, an excellent and passionate book on Gaia science. # First of all, how would you briefly summarize Gaia theory is to someone hearing about it for the first time? The idea is quite simple. When all the organisms on the planet, the sum of all living beings, plants, animal, bacteria fungi, protoctista (ameobae, seaweeds etc.) interact with the non-living components of the planet: the atmosphere, rocks & water through tightly coupled feedbacks, you get emergent properties that one could not have predicted from the components in isolation. The key emergent property here is that the Earth – Gaia - acts like a living being which self-regulates key aspects of its surface such as temperature, the distribution of key elements and acidity within the narrow limits that living beings can tolerate. Long before this scientific understanding, Gaia was the name of the ancient Greek mother goddess, born from primordial chaos. For the ancient Greeks, Gaia was the mother of everything in the material world, including the earth. Gaia for them was the deep, meaningful intelligence in the whole cosmos - and at the same time that same intelligence rolled into the ball of the earth. The scientific view of Gaia comes from our thinking and reasoning, whilst the more subjective view exemplified by the ancient Greeks comes from our intuitive, poetic mind. # It seems like Gaia theory is often associated to hippie- and counter culture. Do you feel that Gaia is about to enter into the wider cultural sphere these days? Thanks to the Gaia theory and James Lovelock’s work it is now accepted by the scientific community that living beings have a huge impact on the climate of the earth. Some of the more recent models that are being made on supercomputers by some of Lovelock’s colleagues to model climate change now take the impacts of life on climate into account. This great advance is purely because of Lovelock and his Gaia theory. 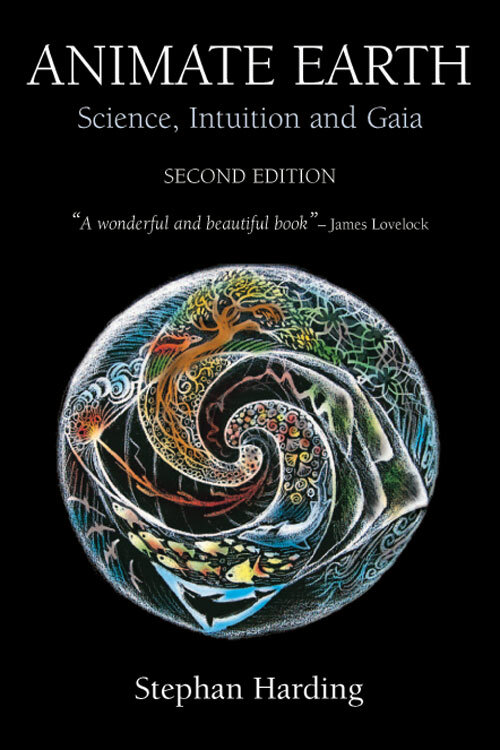 Certain aspects of Gaia theory are now accepted in mainstream science, namely that life has huge and deeply important impacts not only on earth’s climate, but also on its geology and the composition of the oceans and the atmosphere. However, most scientists do not like Gaia and so they have rebranded Gaia theory as ‘Earth System Science’. There are professors and university courses on Earth System Science, which integrates what were once separate disciplines such as biology, geology, meteorology, mathematics, physics and chemistry - all in relation to understanding the earth as one fully integrated complex system. # For a non-scientific mind Gaia theory seems to imply that the earth may be seen as a living being in its own right. How is this notion perceived in the scientific community? Scientists tend to be quite conservative until a given paradigm has shifted by a significant accumulation of evidence. On the whole scientists don’t like to think that the earth is alive because they feel that the evidence does not yet justify this view. They prefer to regard the earth as a system, which has some life-like properties. Of course, one of the difficulties here is that science finds it hard to define what life is, so it is even more difficult to say what life is on the level of the planet. In mainstream culture the Gaian idea that the earth is in some sense alive has not yet been widely accepted. One important exception is the eminent British philosopher Mary Midgely, who says that Gaia is the big idea of the 21st century. She feels that the idea that the earth is a great living being in which we are all embedded can unify us in taking action to avoid the worst impacts of climate change no matter our scientific, philosophical or religious background. # When talking about climate change, do you see a technological and scientific solution - or do think what is called for is more a change of consciousness? I think we need an expansion of consciousness, which gives us the wisdom to use technology wisely. We need to rediscover our felt sense of the living qualities of nature and then use the wisdom this gives us to guide our use of technology. We need to uncover the primordial psyche, which is buried under all our later developments such as science, all of which are very important. But the rational mind, important and vital as it is, should no longer continue to stifle our intuitive sensitivity to the living qualities of nature – its sacred mystery- its intrinsic value. If we cannot develop this kind of intuitive insight then technology may even take us over or wipe us out if Artificial Intelligence develops to the point where machines develop their own style of consciousness. Several people have that vision, including Lovelock himself. # In your own development, it seems like certain epiphanies or experiences has been very important. How can we expect a shift in thinking and consciousness around our relationship to the earth to happen on a greater collective basis? Sadly, I feel this will be very difficult. Each person would have to cultivate perceptual skills that are not valued by the mainstream culture. It is a question of catching a whiff of something which mainstream culture doesn’t want you to catch a whiff of, namely the intense living quality of the universe and the presence of immense meaning and purpose in the whole of nature, which is absolutely taboo in science of course. Once you catch a little scent of this you feel a great motivation cultivate these perceptions since they give you energy and liberate you from collective thought patterns that oppress your individuality. It takes work. I think Goethe is very helpful here with his approach in relation to colour and to plants – he shows us how to cultivate intuitive perceptions of nature, which are in fact very hard to talk about since they are entirely experiential. It’s not going to be easy to have this shift happen in the mainstream culture fast enough to avert the worst of the climate crisis, so I am rather pessimistic about our long-term prospects. # In shamanistic cultures certain plants and fungi have played an important role in opening up people to deep experiences of nature. What is your opinion on the renewed academic interest in psychedelic substances, which seems to be happening today? In the medical community there is presently a growing interest in psychedelics as a form of psychotherapy, with indications that these drugs can really be of help. There has been work with psilocybin with severely depressed patients here in the UK with astonishingly good results. From the limited number of scientific experiments done with psychedelics it seems that the healing happens because people connect with a deeper sense of meaning and purpose that is inherent in nature. The medicine helps them to contextualize their depression within a much greater sphere, which is the evolution of the cosmos and the meaningfulness and beauty of nature. Once people make a connection like that, they can be healed of all sorts of difficulties. We should support rigorous scientific testing of psychedelics in psychotherapy. The scientific findings might even support their careful use outside the medical field in order to make people happier and give them a connection and a feeling of belonging to something much bigger than themselves, which you could say is Gaia – the living earth. # The work of psychologists like Carl Gustav Jung and James Hillman seems to be a major influence on your work. Where is the meeting point between psychology and the notion of Gaia? I think that Jung’s psychology is vitally important for Western culture. He re-discovered the deeply healing insight that our little ego minds swims inside the huge psyche of nature, which is the universe itself. He helps us to realise that matter is psyche and that dreams are important messages from the wider psyche, which draw us closer to the healing livingness of nature. James Hillman continued to develop Jung’s psychology and eloquently describes the psyche of trees, the psyche of gashes in the soil, the psyche of buildings, the psyche of crops using his own understanding of the Anima Mundi (the soul of the world) which also come to us from ancient Greece, and even earlier. For Hillman, everything has soul, everything has psyche, everything is in some sense alive. We live in an animate cosmos – we live within Gaia, our animate earth. Dr Stephan Harding is the Coordinator of the MSc in Holistic Science at Schumacher College at Dartington, Devon, England. He is author of Animate Earth: Science, Intuition and Gaia.